Located in the Pittville Estate Area of Cheltenham in Gloucestershire, this pair of high quality semi-detached villas harmonise with and complement the surrounding properties. 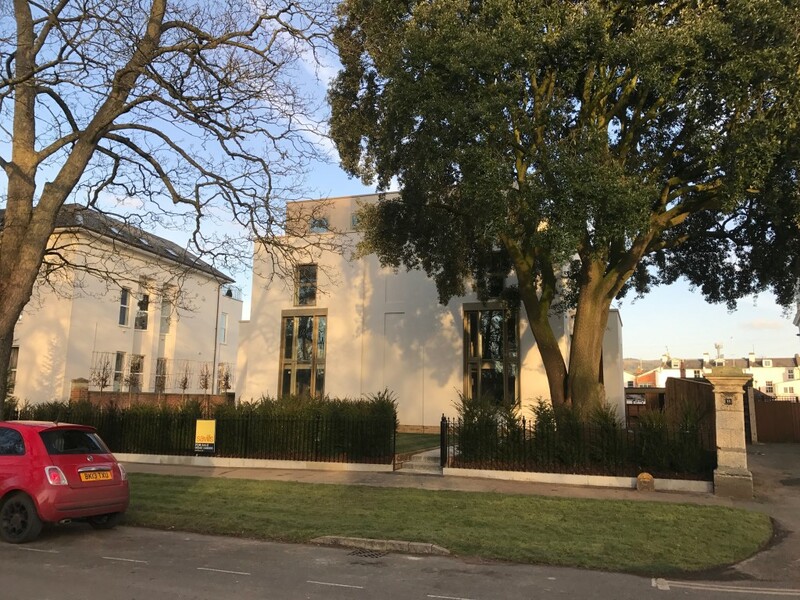 The proposal has taken reference from neighbouring properties and seeks to provide a more contemporary solution to the Pittville semi-detached villa typology. The built form is four storeys high and is arranged symmetrically. It is stepped back from the road allowing a large planted front garden, and the top floor is significantly set back to allow the lower parapet height to read more prominently. The Pittville Estate was planned by Joseph Pitt in the early 1800s whose vision was to create an impressive estate of large villas, terraces and open parkland. The vision was never fully realised due to financial constraints, leading to infill housing of a poorer standard compared to the original Regency villas. By introducing a building that is similar in height and scale to its neighbours, the scheme restores the street scene, and helps realise Joseph Pitt’s original vision.